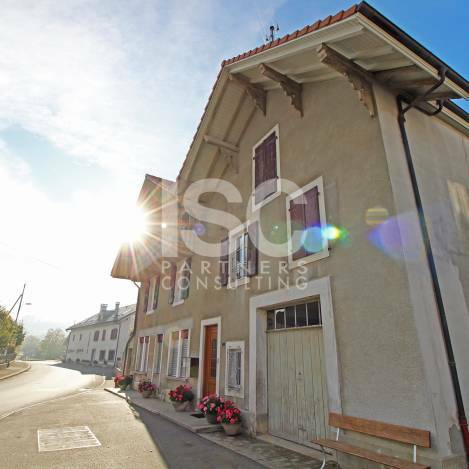 Charming and quiet for this farmhouse dating from 1899 completely renovated and erected on a plot of 906 m2 in a charming hamlet 25 minutes from Lausanne and Yverdon. Boasting large volumes and a beautiful light, this property is composed on 2 levels of a 6.5-room independent housing and a spacious DIY workshop. 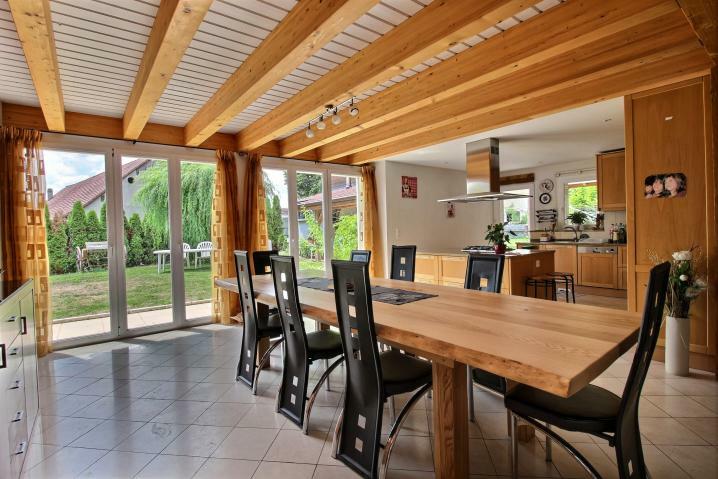 The set is ideal for a large family loving and looking for well-being and comfort a few minutes walk from the station Lucens. This house offers quality finishes with quality materials. The set offers a cozy decor and a campaign spirit. This property has a lot of potential with the possibility of transforming into a home the workshop or the attic. A barn for a car, an oven and barbecue area, two covered terraces and a vegetable garden complete the equipment.